Name the world's first Hall of Fame. Here's a contender. 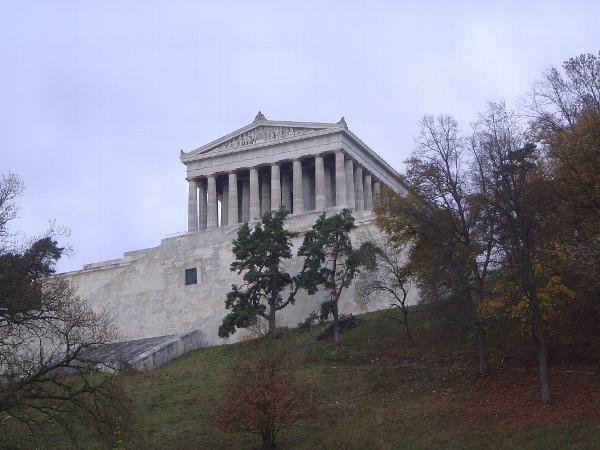 It's Valhalla, a Parthenon look-alike built near Regensburg by Ludwig I of Bavaria to celebrate the giants of the Germanic world. There it is, in grand isolation but looking a bit odd with all those trees around it. 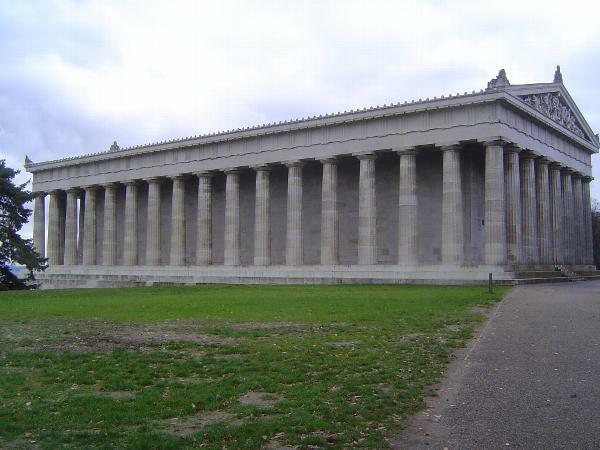 The real Parthenon sits in a bleaker spot. Puff, puff. 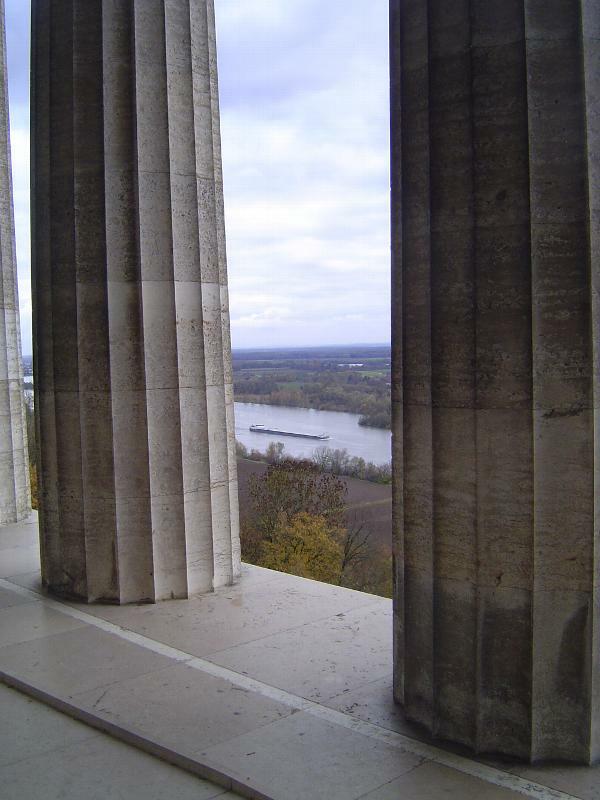 The story is this: while still Crown Prince of Bavaria, Ludwig was distressed by the sight of Germans fighting Germans--some for Napoleon, others against him. 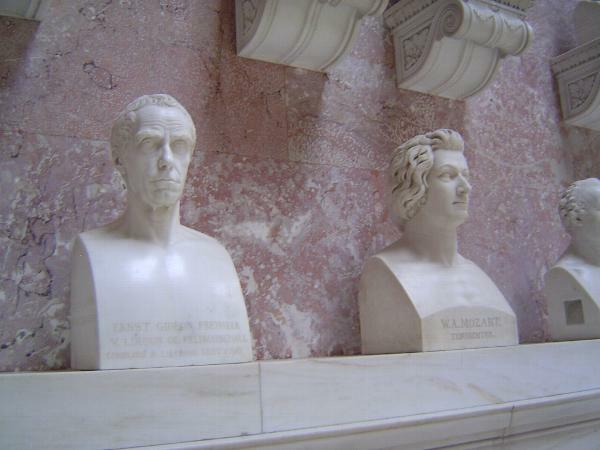 To build ethnic pride, Ludwig began commissioning busts of German heroes. 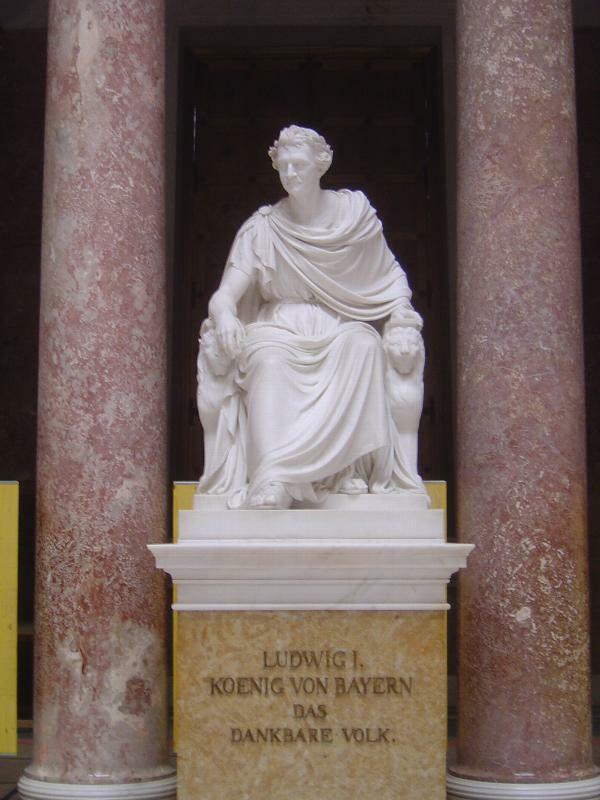 The collection was tootling along when Ludwig became king in 1825. 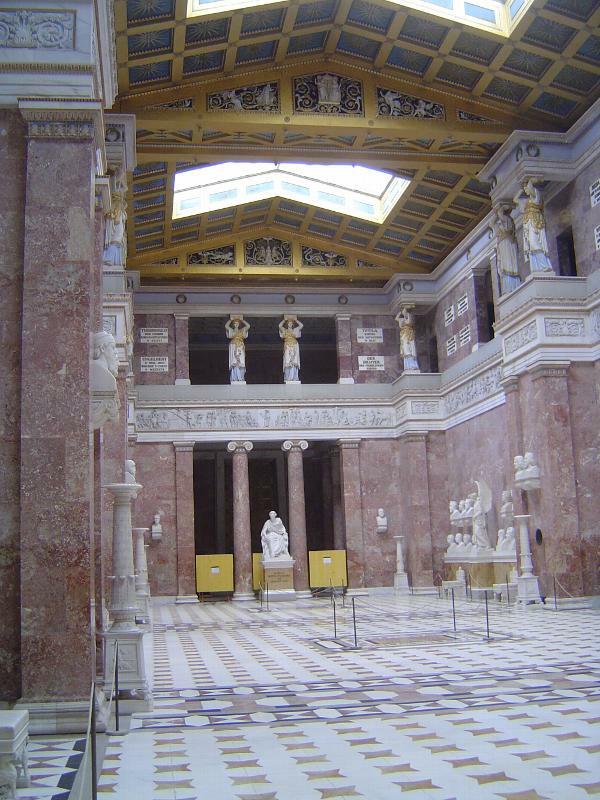 Five years later, he had his court architect, Leo von Klenze, design a building to house the collection. Klenze, like many of his contemporaries, was infatuated with things Greek, as was Ludwig, one of whose younger brothers became King of Greece at about this time. 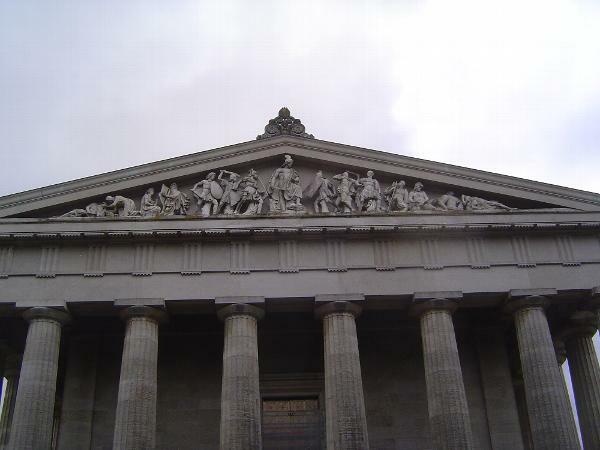 The iconography of the pediments has nothing to do with Athens, however. This, the northern one, shows the battle of Teutoburg Forest, at which the Romans, having sent most of their legions to fight elsewhere, had only three with which to overpower the Germans. It was 9 A.D.. 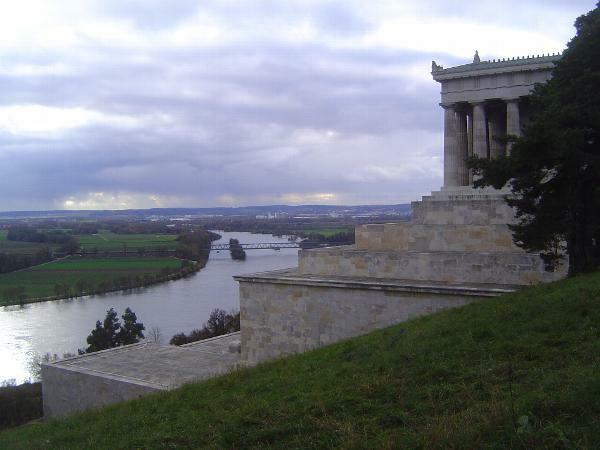 The three legions were destroyed, and the Romans never again attempted to extend their rule east of the Rhine. 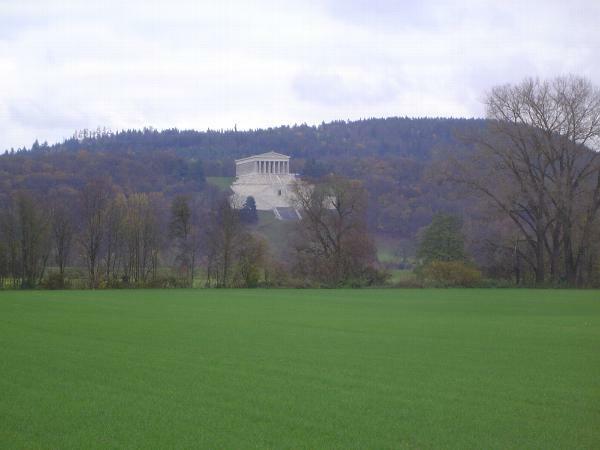 The entrance is on the other end, the side overlooking the valley. 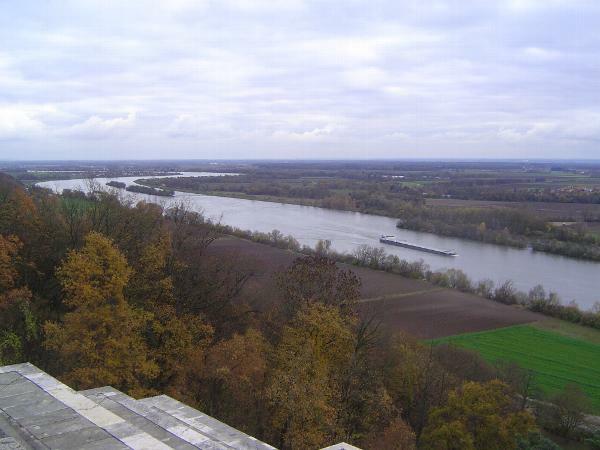 That would be the valley of the Danube, here just a couple of miles downstream from Regensburg. 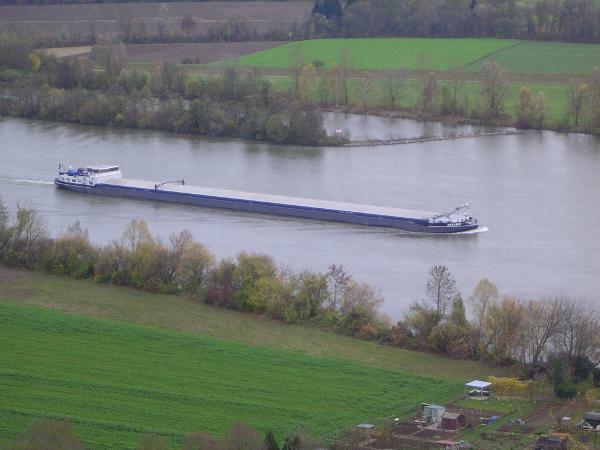 Liquid cargo? That's my guess. 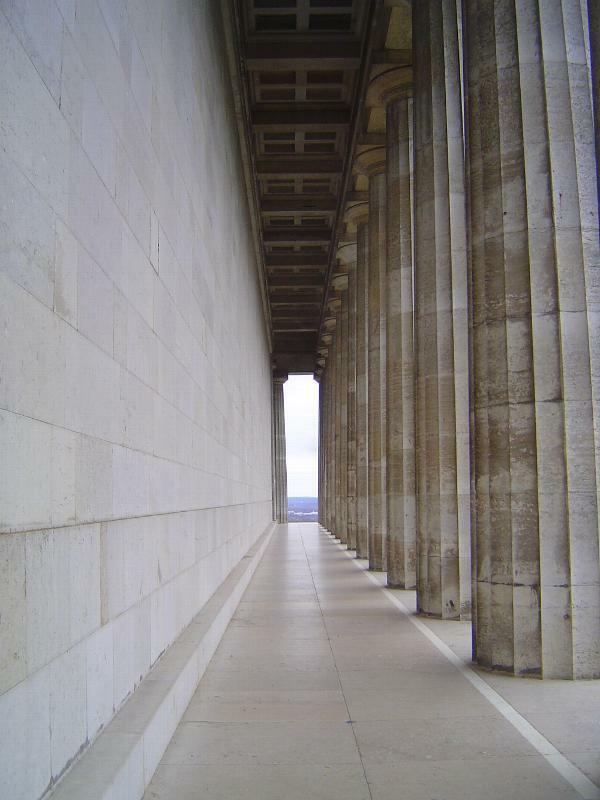 The inside is unlike anything in the Parthenon proper. Guess who's down there at the end. It's Ludwig in dress-up. We'll overlook the fact that he got involved with an Irish entertainer who used the stage name Lola Montez. 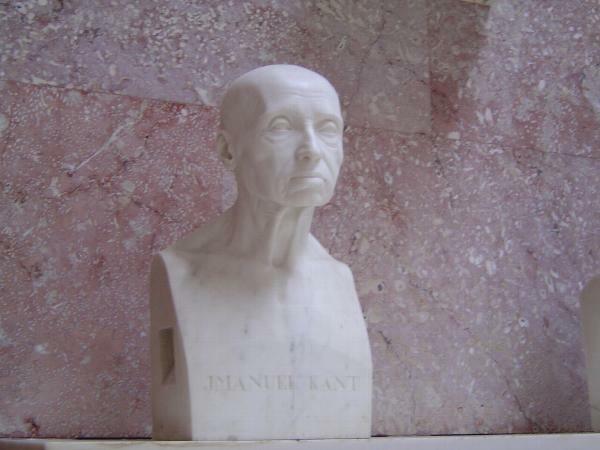 For making her a countess and for other failings, he was obliged (the "dankbare volk" notwithstanding) to abdicate in 1848. 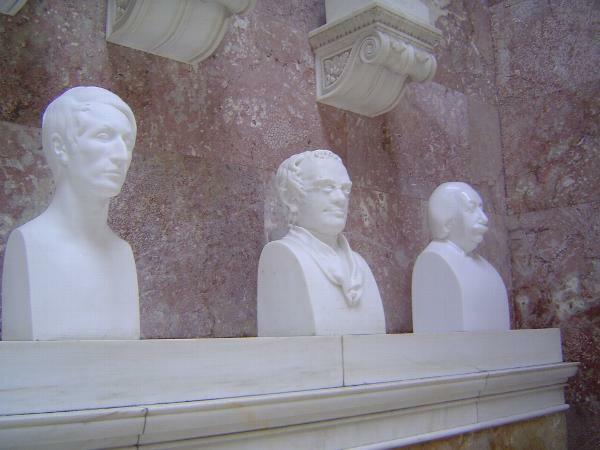 Busts continued to be added at Valhalla, but not at his suggestion. 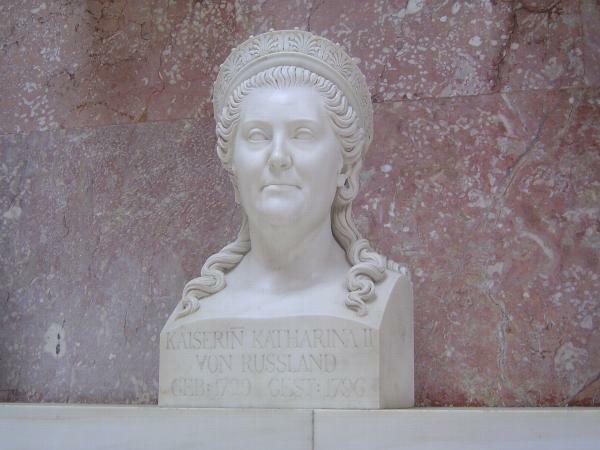 The process was now up to the government of Bavaria. 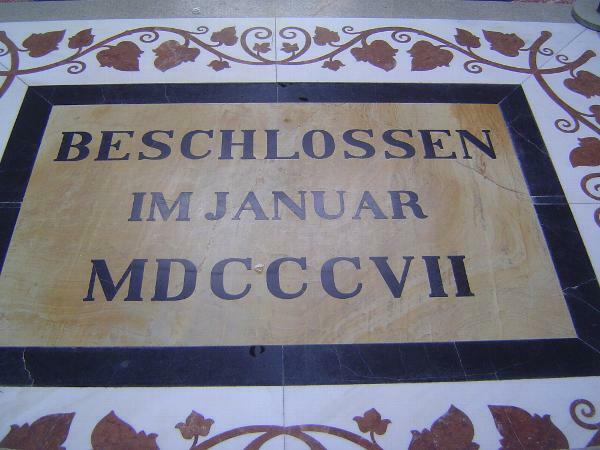 A stone set in the floor recalls Ludwig's first involvement. Another shows when the building was finished. 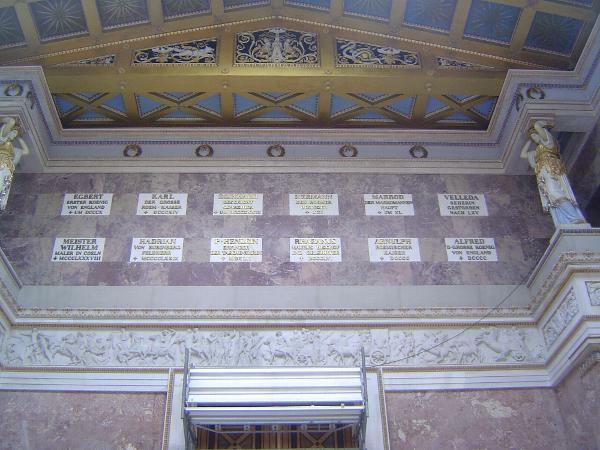 Up high, a list of great German kings. Bet you didn't know they included Hadrian. 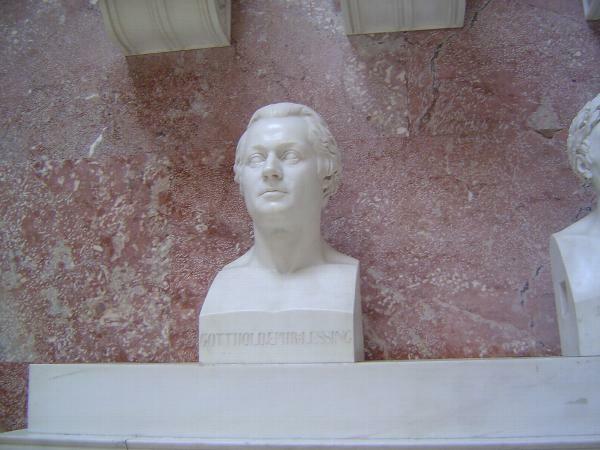 A soldier, Ernst Gideon Freiherr; he sits next to a disastrously pretty Mozart. 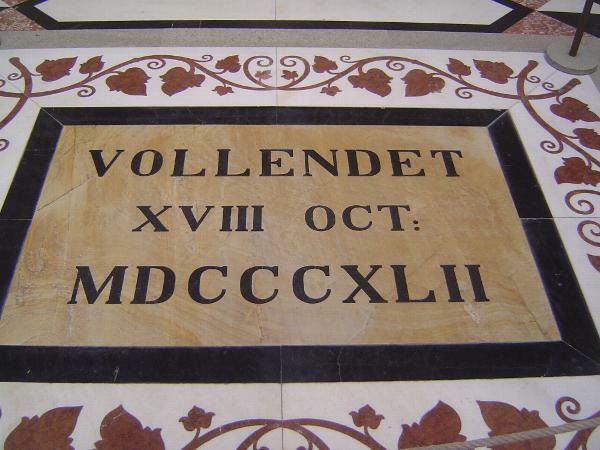 Luther was the first addition after 1848. 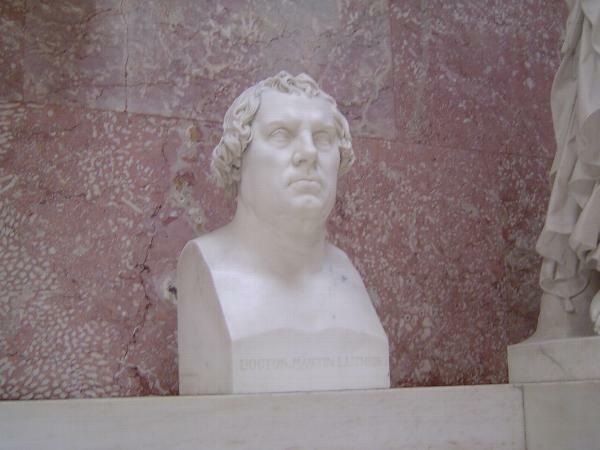 He's jowly but good in comparison with some of the later busts. 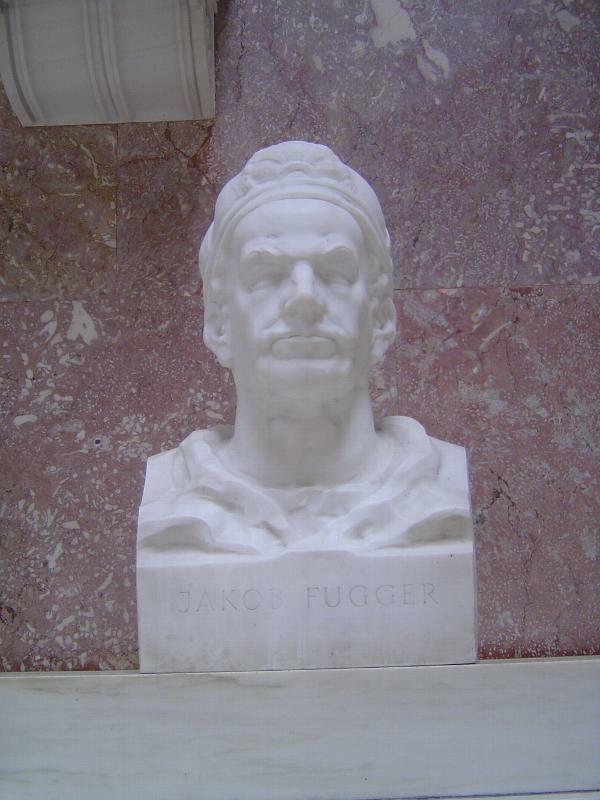 Another soldier, most famous now for the great march Strauss wrote for him. 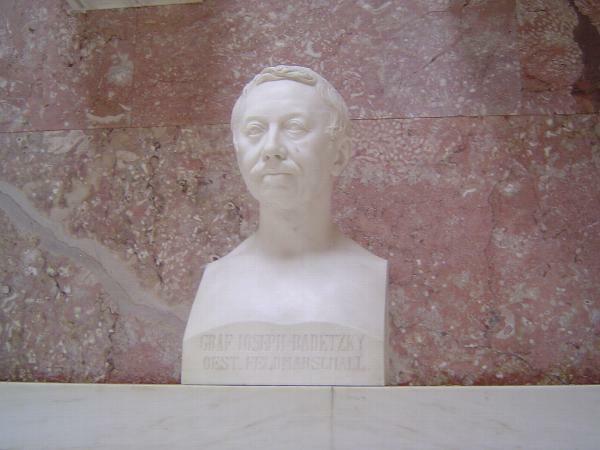 Added in 1853. Guess which is pre-1848. That would be Justus von Liebig, the father of the fertilizer industry and inventor of beef extract. Looks like a reasonable fellow. Squeezed next to him is a ghastly image of a miffed J.S. 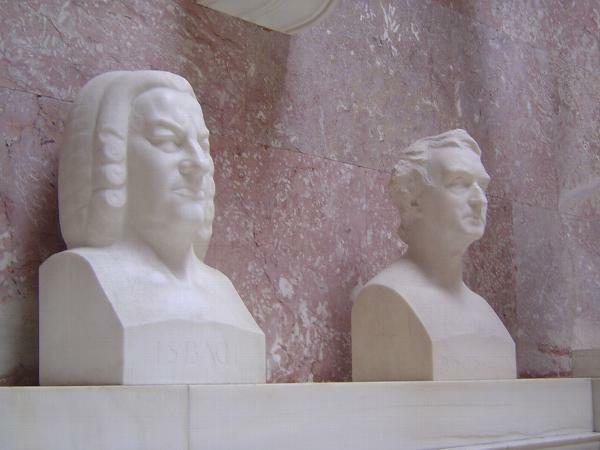 Bach, added in 1916. Oh, boy. We begin with a neurasthenic Carl Maria von Weber (1978), move on to a silly Schubert (1928), and end with a cartoon of Einstein (1990).